Nike Big League Baseball Camps offers locations nationwide for players ages 6-18 and is pleased to announce its latest addition, Vero Beach, June 17-20, to the 2012 NIKE Big League Baseball Camp schedule. Each summer we look to improve our offerings of NIKE Big League Baseball Camp across the country. 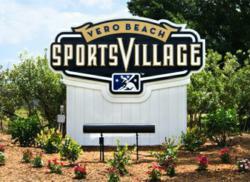 Vero Beach Sports Village, the longtime spring training home of the Brooklyn and Los Angeles Dodgers and widely recognized as one of baseball's greatest historic treasures, is now serving as the facility for the NIKE Big League Baseball Camp. From it's inception, the complex then-known as Dodgertown, was designed to give teams the opportunity to train, live and play together in a unique environment where athletes could develop their skills to the highest level. The Nike Big League Baseball Camp at Vero Beach Sports Village is directed by Director of Operations for Professional Sports Camps Vincent Carlesi. Carlesi has been directing the Big League Baseball Camps for the past 24 years. The combination of this Big League Baseball Camp staff along with the opportunity to train on the same hallowed grounds once occupied by Hall of Fame legends Jackie Robinson, Roy Campanella, Don Drysdale, Sandy Koufax, Pee Wee Reese, Duke Snider, Don Sutton and Tommy Lasorda, makes Vero Beach a camp every young baseball player would want to attend. US Sports Camps (USSC), headquartered in San Rafael, California, is America's largest sports camp network and the licensed operator of Nike Baseball Camps. The company has offered summer camps since 1975 with the same mission that defines it today: to shape a lifelong enjoyment of athletics through high quality sports education and skill enhancement. Players, coaches, parents and others interested in the 2012 Nike Baseball Camps can visit http://www.ussportscamps.com/baseball or call 1-800-645-3226.